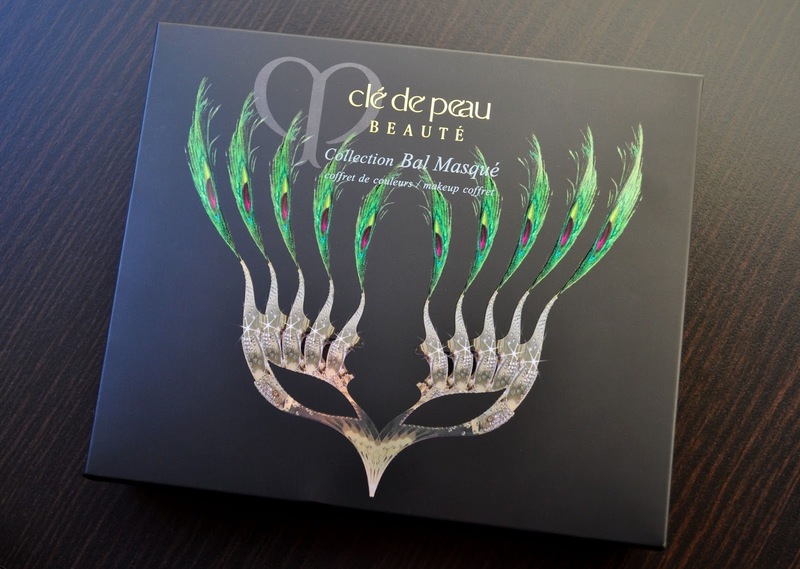 I don't want this entrancing dance with Cle de Peau's Collection Bal Masque Makeup Coffret (Gemma), to ever end! Cle de Peau describes the radiant and lavish colors of the limited edition coffret as "inspired by the magical, opulence of a glamorous Venetian Masquerade ball." The set includes: an eye color quad in 314, a perfect lash mascara in 3, and the extra rich lipstick in 314. 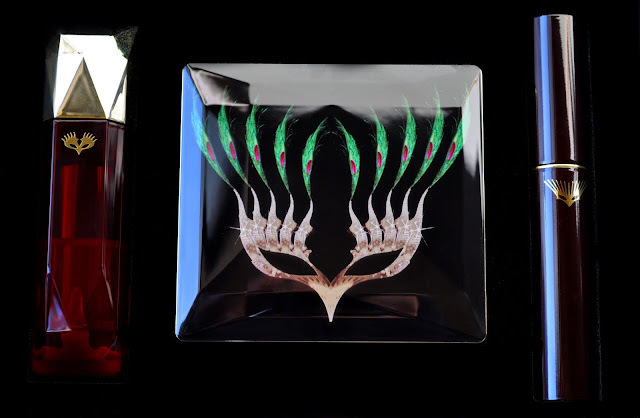 The Gemma mask design on each of the products, the palette and lipstick's beveled-cut exterior packaging, exudes elegance. Keeping in fashion with the whole masquerade ball theme, the shadows themselves are embossed with a mask design. All four eye shadows have a shimmery, semi-metallic finish. 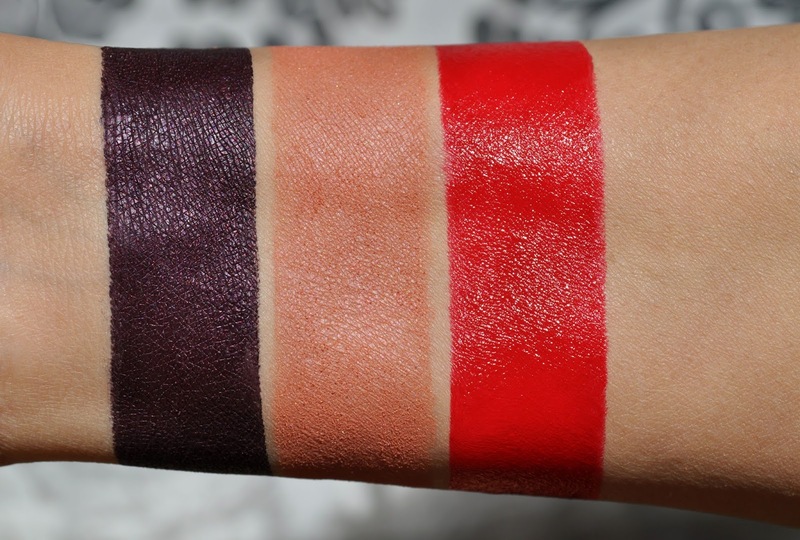 When applied thinly, these finely milled, silky shadows have a beautiful translucency; however, they are pigmented, and only require a few layers to achieve opaque radiance. A olive green with a golden sheen. A taupish-platinum with a lavender sheen. As you well know, I have an affinity for colored mascaras, and the deluxe-sized Perfect Lash Mascara in 3 was an nice treat. 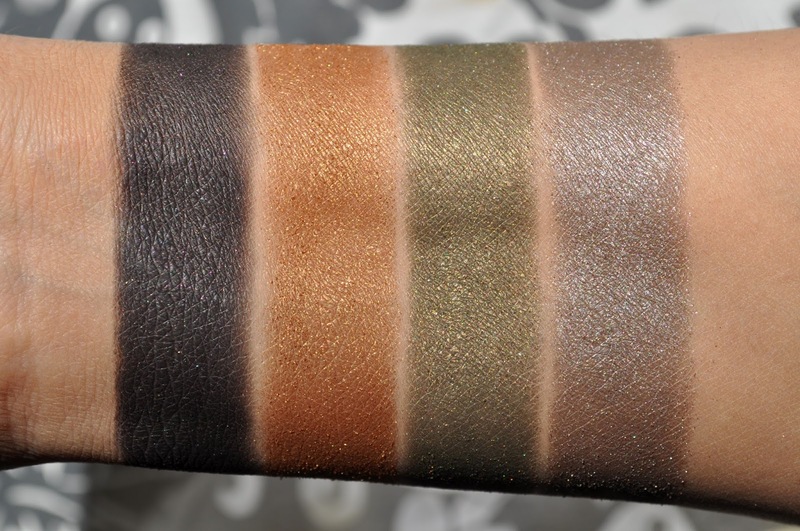 The wand has a subtle curve, and applies the right amount of product onto the lashes. 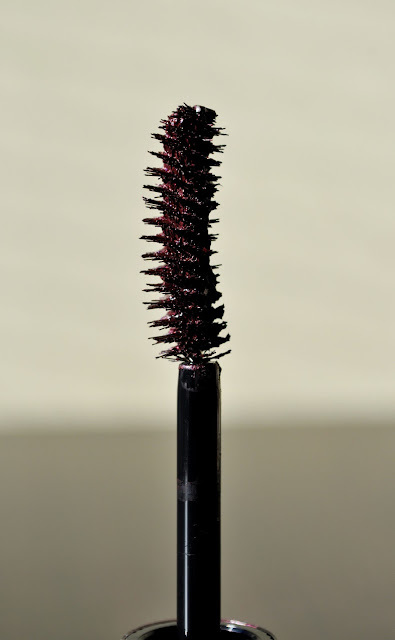 The Perfect Lash Mascara defines, lengthens, and curls. 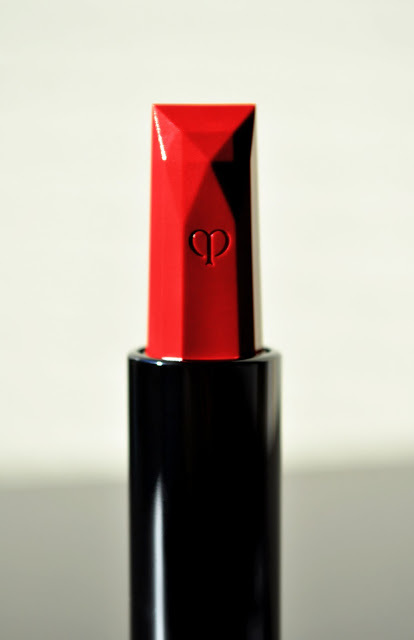 The Extra Rich Lipstick is the proverbial red bow of the coffret. With its creamy texture, and brilliant pigmentation, the lipstick has a beautiful velvet-satin finish. From left to right: Perfect Lash Mascara 3, Powder Blush Duo 105, Extra Rich Lipstick 314. 3: A deep, glossy, more-plum-leaning Bordeaux. 314: is a bold, deep, crimson red. Cle de Peau Powder Blush Duo in 105 (both shades mixed together). 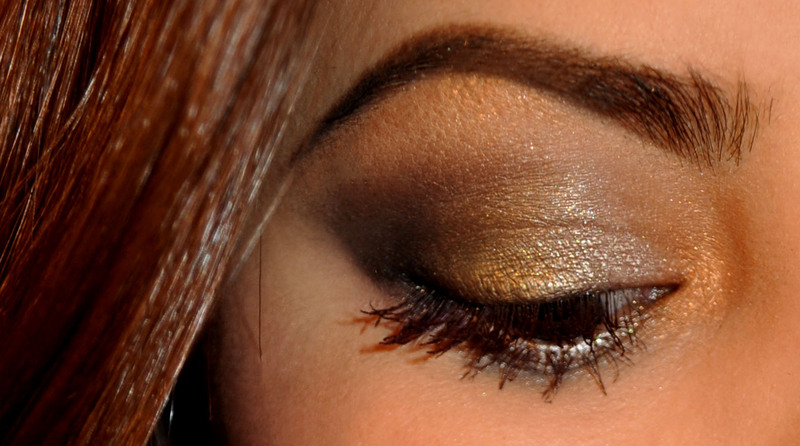 The gold shade placed in the inner corner and along the brow bone. The platinum shade placed on the inner half of the lid and along the lower lashes in a "V" shape. The green shade placed on the outer half of the lid. 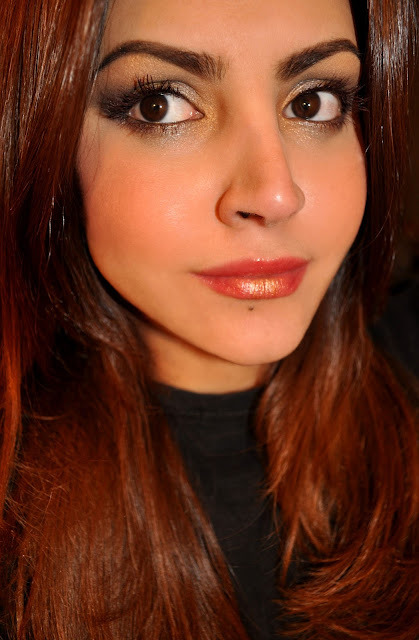 Random black kohl eyeliner from Italy. Cle de Peau Perfect Lash Mascara in 3. Daily Delight Rick Milk Tea Lip Balm. Cle de Peau Extra Rich Lipstick in 314 (lightly blended into the lip balm). 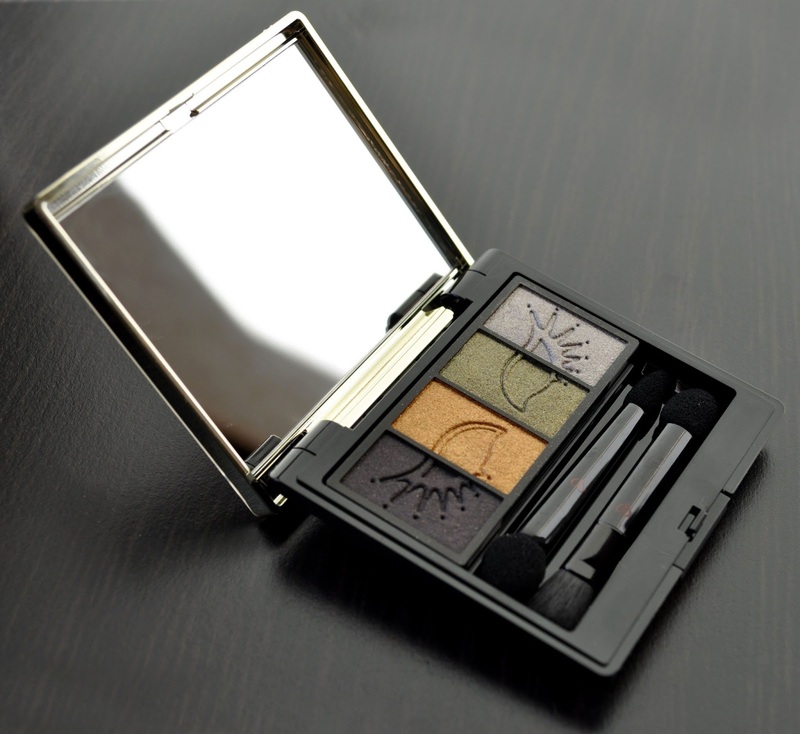 Cle de Peau Eye Color Quad in 314: the gold shade placed on the center of the lower lip. Cle de Peau's Collection Bal Masque Makeup Coffret retailed for 16,200 yen and is/was one of my favorites among all the holiday sets. I just wish these items were not limited edition. I've made a substantial dent in all the items, and it'll be a sad day when they're gone. Everything about the entire set was AMAZING! You've peeked my interest in regards to that Moroccan henna lip tint. It sounds gorgeous! I need to see it!